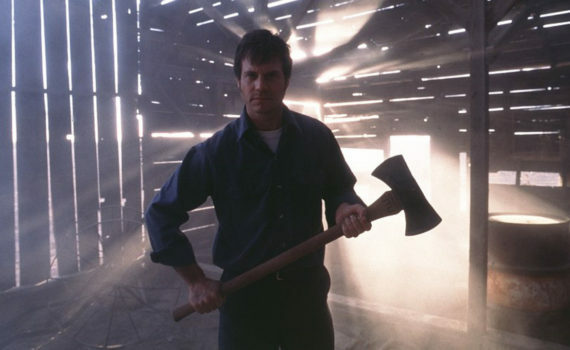 I’m not sure what’s more surprising, that Bill Paxton directed a good movie or that Bill Paxton was good in a movie. Though, to be fair, both the films Paxton has directed have been hits, Frailty & The Greatest Game Ever Played. The same can often be said about the films he appears in as well, especially in a small, character role. Weird Science, Aliens, True Lies, Edge of Tomorrow; I guess the guy just needs the right fit. He’s not going to go down as great at either directing or acting, but he does seem to find himself in these perfect moments, and no where is that more evident than in Frailty, a film that he both created and starred in. It doesn’t hurt that Matthew McConaughey was on board at what would become the end of his first of two clusters of stellar performances, but we’ll get into that later. For now, Bill Paxton did a good job, which perhaps shouldn’t be as surprising as it feels. The God’s Hand killer is on the loose in Texas, and Fenton Meiks knows who he is. He ought to, the serial killer is his own brother, Adam, a boy ruined by a past too horrible to believe. Fenton takes himself to the FBI headquarters and asks to see Agent Wesley Doyle, the only man he will tell about the gruesome murders. Fenton’s proof is in his story, a tale he unravels for Doyle one step at a time. As boys, Fenton & Adam were happy with their widower father, a simple man who worked hard and loved his sons. But when their dad began claiming that an angel had spoken to him, and, what’s more, that the angel had commanded him to make a list of demons who were hiding behind human names, their idyllic Texas childhood was covered over with lies & blood, a tide too deadly to withstand and a pressure to heavy to escape unscathed. McConaughey really did go through two excellent acting periods, punctuated before by early opportunities and between by bad choices. From 1996-2001: A Time to Kill, Contact, Amistad, The Newton Boys, U571, Frailty. Not bad. And from 2012-2014: Mud, Dallas Buyers Club, The Wolf of Wall Street, Interstellar. Not bad at all. His chick flick era can be forgiven, especially now that he’s moved on from them to much more serious & much better projects. Paxton was lucky to nab him as a star at the peak of his first cluster, before he sold out a bit, Mac delivering a pretty impressive performance here. It’s a flashback story told by a grown up Fenton about his father, his father’s madness, and a brother whom he loved. Be prepared for brutal insanity and a twist or two, in what most agree is as solid a thriller as you are likely to find in the genre. Not phenomenal perhaps, but sliding right into its style with actual talent to support it, something that doesn’t happen every day.